« Next Article: Wondering what an immersion language course is like? British students tell their stories. Every time I'd return to the US between language courses, back before I'd even dreamed of living in Spain, I'd struggle to keep all I'd learned in Spain in tip-top shape. I've just checked out two websites that do a beautiful job of solving that dilemma. Whether you're between in-country courses or just not able to travel abroad to study right now, listening to Spanish lessons by podcast will allow you to improve your Spanish right where you are. Best of all, podcast lessons work on your listening skills, which, as several Spanish friends currently preparing for their English exams assure me, is the challenging part of learning a foreign language in your own home country. Notes in Spanish offers free podcasts and blog-based Spanish language content (slang, phrases, cultural stories, etc) for advanced and intermediate students. I'd recommend these podcasts even to beginning students. If you don't understand a thing, that's okay! Listen. You 'll pick up intonation, pronunciation and, I bet, a good bit of the content. Notes in Spanish is presented entirely in Spanish, and is a conversational, fun and warm way to tune your Spanish ear and learn the language. The podcasts feature Marina, a Madrileña, and her husband, Ben, a British journalist. They also have an English language blog about Spain, Notes from Spain, and an English language podcast about Spanish cuisine called Cuisine from Spain. 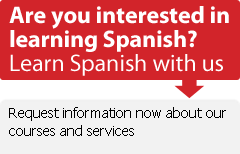 Coffee Break Spanish is UK-based and offers 15-20 minute Spanish lesson podcasts, free, and also offers a paid membership with additional lesson materials. If you are a complete beginner, you may find Coffee Break Spanish helpful. The lessons include a lot of conversation in English, however, and some noise has been made about the host's accent. If you're not yet able to understand Notes in Spanish, or perhaps if you are just looking to learn some quick and practical Spanish (ordering in a restaurant, etc,) for an impending trip to Spain,Coffee Break Spanish may a place to start. I've always wanted to learn spanish. I guess its the most romantic language, if not next to french. Great tip on How to Learn Spanish via podcast.